Two Belfast celebrities met up in June at an event to mark the year the Olympic Games returned to London. 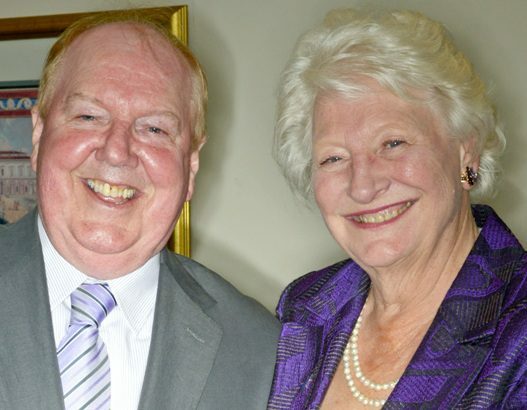 Olympic gold medallist Dame Mary Elizabeth Peters and top comedian Jimmy Cricket were at the Southport Theatre for a special dance show to celebrate the Olympic Torch coming to the Merseyside seaside resort ahead of London 2012. Jimmy was asked to compere the show which was organised by the Liverpool-based Allied Dancing Association. The event’s other special guest was Dame Mary Peters who won gold medal in the pentathlon in the 1972 Munich Games. She represented Northern Ireland at every Commonwealth Games between 1958 and 1974, winning two pentathlon gold medals, plus a gold and a silver for the shot put. She was born in Lancashire but lived in Belfast from the age of 11. 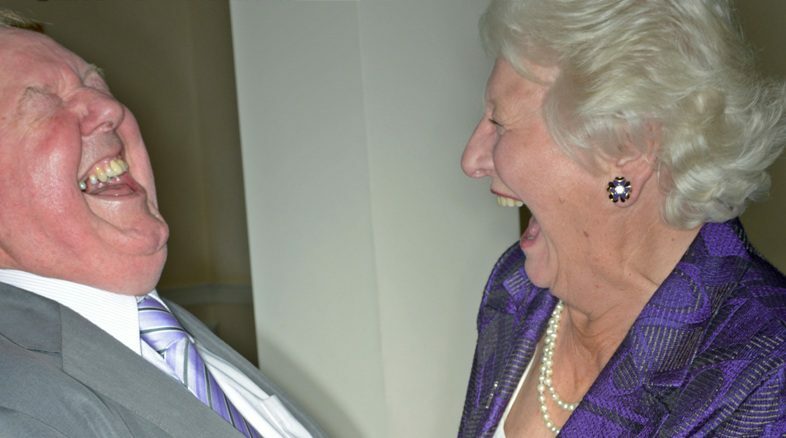 Jimmy, who was born in Belfast and has lived in Rochdale for many years, said: “It was a real thrill to meet Mary in Southport as she has been one of the great ambassadors of Northern Ireland over the years. London also hosted the Olympic Games in 1908 and 1948. The 2012 Games means it will become the first city to have hosted three modern-day Olympics.